Ireland have made six changes to their two-day training squad with Munster centre James Downey getting the nod. 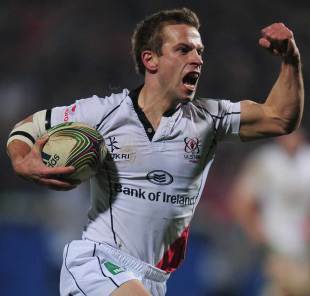 Downey moved to Munster in the off-season from Northampton and replaces the injured Gordon D'Arcy in the squad. There are other changes with Leinster's Ian Madigan, Ulster's Paul Marshall, Connacht's Ronan Loughney, Leinster's Devin Toner and Ulster's Craig Gilroy included in the 33-man squad. The quintet replaces Ronan O'Gara (leg), Eoin Reddan (leg), Declan Fitzpatrick (knee), Mike McCarthy (calf) and Simon Zebo (ankle) in the party.